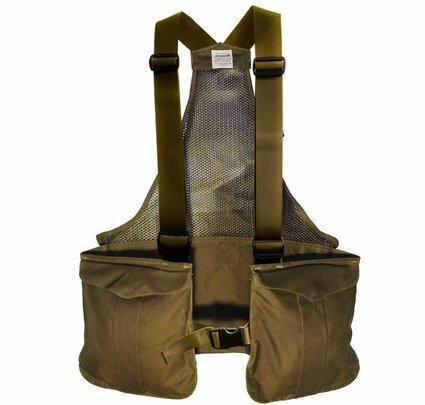 "The quality can't be beat, and the customer service at Gun Dog Supply is phenomenal!" 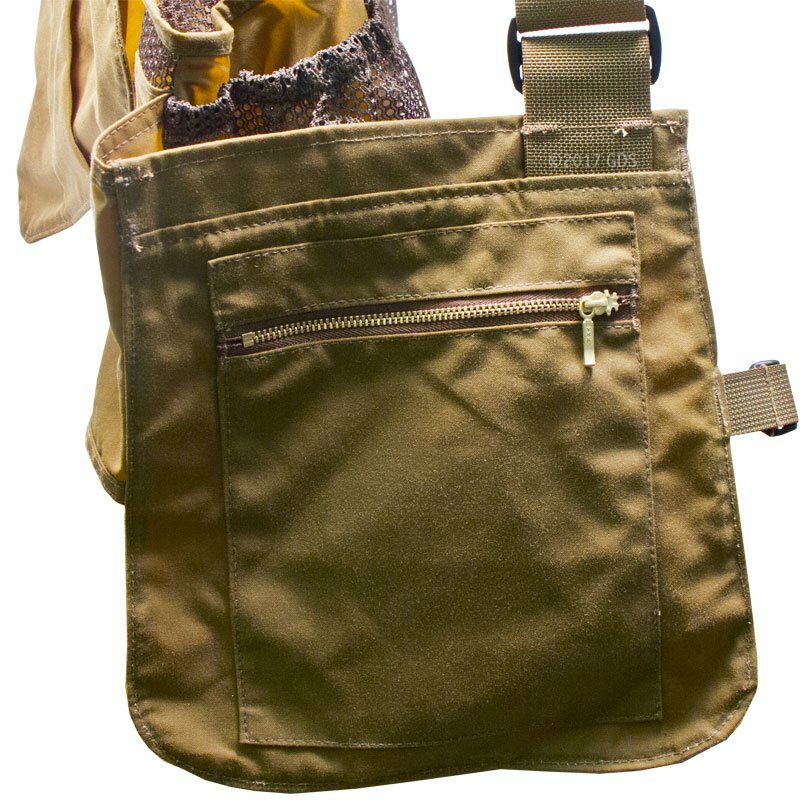 My husband loves this game bag. He has wanted one for some time. The quality can't be beat, and the customer service at Gun Dog Supply is phenomenal! We couldn't be happier! 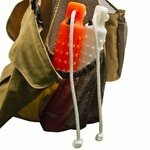 "Gotta have water bottle holders in the south when upland hunting. Great vest." Gotta have water bottle holders in the south when upland hunting. Great vest. This bag should last a lifetime. Excellent quality. Fast delivery as well. Thanks. 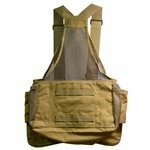 Excellent quality vest. Will no doubt last a long time. As always, Steve provides unmatched customer service. Great quality. Can't wait to use in the field. "Your customer service was great. Easy ordering and quick delivery! Thanks and Merry Christmas!" I bought this as a gift for my son in law - he hasn't opened yet, but he asked specifically for it. Your customer service was great. Easy ordering and quick delivery! Thanks and Merry Christmas! Distributes weight well and is durable. Always pleased with Filson. 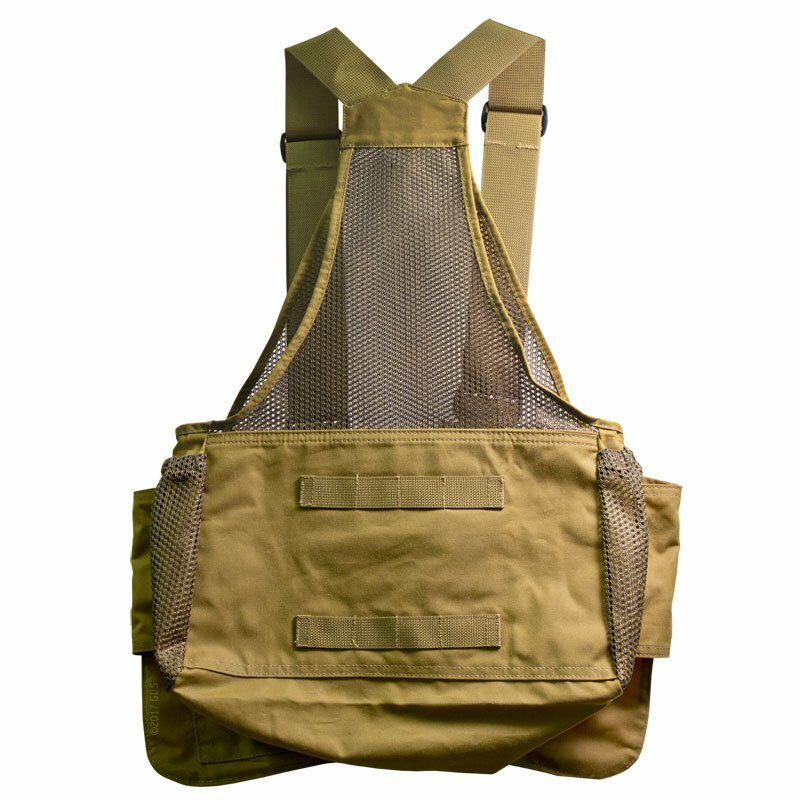 Very good product, well made and lightweight. I really like the water bottle pockets. It fits great! My first Filson purchase, and I'm very happy with it. Excellent game bag, just used it once so far. 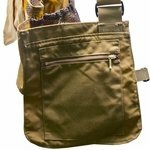 It's very comfortable and all pockets are easily accessible! Looking forward to years of great use. Fabric is 8.5-oz. 100% cotton oil finish Shelter Cloth with polyester mesh. Do not machine wash. Do not dry clean. Clean by wiping or brushing only. Why do you call it Tin Cloth? Tin Cloth has been one of our most popular fabrics for decades. It was nicknamed Tin Cloth when tin was the standard for toughness. We've also heard it described in the past as being called Tin Cloth because it sheds water like a tin roof. However, over time, and with regular use, the Oil Finish water repellency may weaken, especially in areas of high wear or repeated flexing (such as the knees of a pant, or the elbows or cuffs on a jacket). 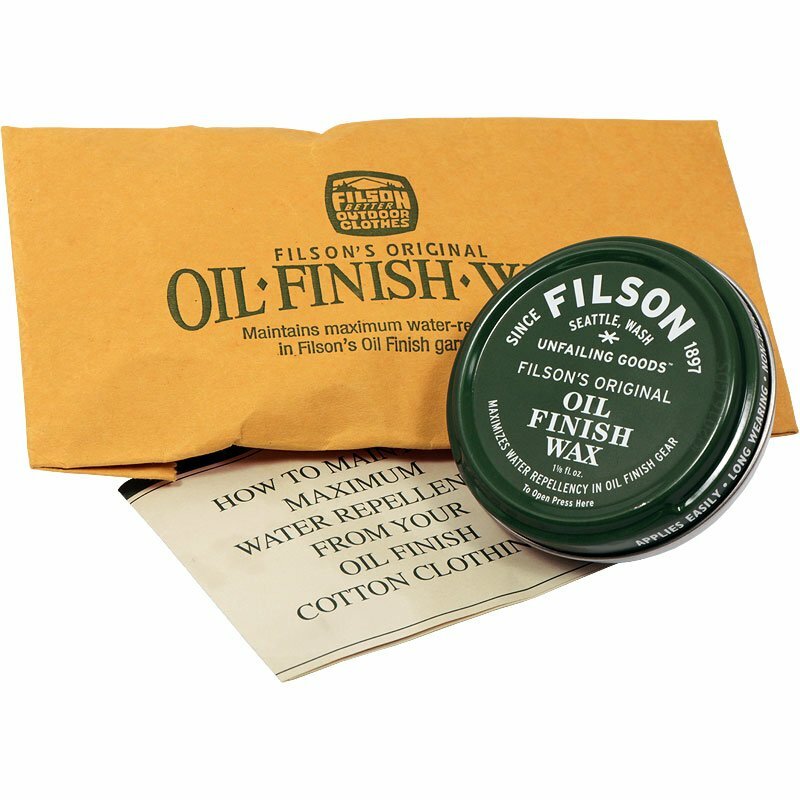 One can of Filson's Style 1-A Original Oil Finish Wax is enough to touch up isolated areas of high wear or flexing, but re-waxing an entire garment usually requires several cans of wax. What should I do if my Oil Finish Tin Cloth item gets wet? Cotton can shrink if it gets wet, especially when it's exposed to any kind of heat. Allow your Oil Finish Tin Cloth product to dry naturally, away from any source of heat, to minimize shrinkage. Any cotton garment is susceptible to shrinkage, which varies with use. For example, if your garment gets wet and then hot (drying out by a hot stove or in a car trunk, or when you work up a sweat wearing it on a hot day) shrinkage can occur. You'll notice shrinkage primarily in the length of a sleeve or pant leg, less often in the chest or waist. While a small percentage of users experience shrinkage in their Oil Finish Tin Cloth garments (usually due to getting them repeatedly wet and dry) most users do not experience enough shrinkage to create a problem with the fit. We recommend that you order your normal size unless you have previous experience with unusual shrinkage in our garments. Our Oil Finish Tin Cloth is not totally waterproof, but it is very water repellent, especially for a natural fabric like cotton. In a sustained downpour, the fabric will begin to absorb water, but you can expect to stay dry and comfortable for hours in the rain. My new Tin Cloth jacket is very stiff! Is there anything that I can do to break it in faster? Can I throw it in the washing machine, or the dryer? There are no shortcuts to breaking in a Tin Cloth garment--you just have to wear it as much as you can until it softens up. No matter what, don't throw your Tin jacket in the washing machine--that may only make it stiffer. Tumbling in a dryer will only soften it briefly (when the fabric cools, it will return to its original stiffness). 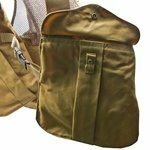 How breathable is Oil Finish Tin Cloth? We describe our Oil Finish Tin Cloth as breathable, when compared to rubber or plastic raingear, because it offers superior water repellency, but at the same time will allow air to push through. However, Oil Finish Tin Cloth is generally not as breathable as high-tech synthetic fabrics, such as those that use Gore-Tex breathable membranes. Why is my new Tin Cloth item a different shade of tan than my last one? Each dye lot accepts dyes to a different degree, depending on fiber variations, harvest time, and processing. 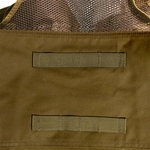 We feel that the difference you are seeing is an acceptable color range for our Tin Cloth.